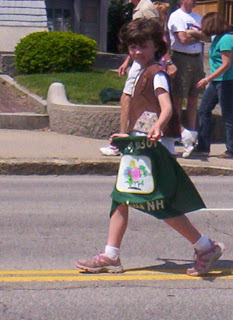 STAY AT HOME MOM: WW 14 - "I Love a Parade"
These are from a few weeks ago, when my daughter walked in the Memorial Day Parade, with her Brownie Troop. See more Participants HERE and HERE. Hi Sue, nice pictures! It's great the way the Brownie's get involved in the community. Parades are fun! 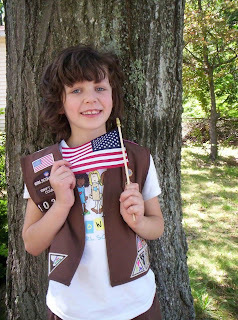 My daughter was a Brownie and is still a Girl Scout. she looks so happy! Looks like she had a great time! Oh how fun! I bet she felt very special that day. You GO Girl! Sue, you have a very beautiful daughter. It looks as though every one had a great time - like you, I too really enjoy parades! I remember those days! It's so awesome to see our own kids in a parade, isn't it!? Great fun and great photos!!! My daughters are in brownie too here in UK. Cute pictures Sue. Parades are always something to remember. Looks like it was a great day for a parade! What a proud little Brownie! She looks so cute! Thanks for your nice comments everyone. 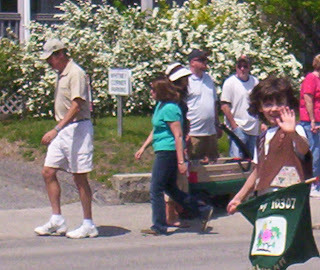 It is cool to see my daughter in the parade, I really get a kick out of it and she really enjoys it too. Her Brownie leader said she was a born marcher!